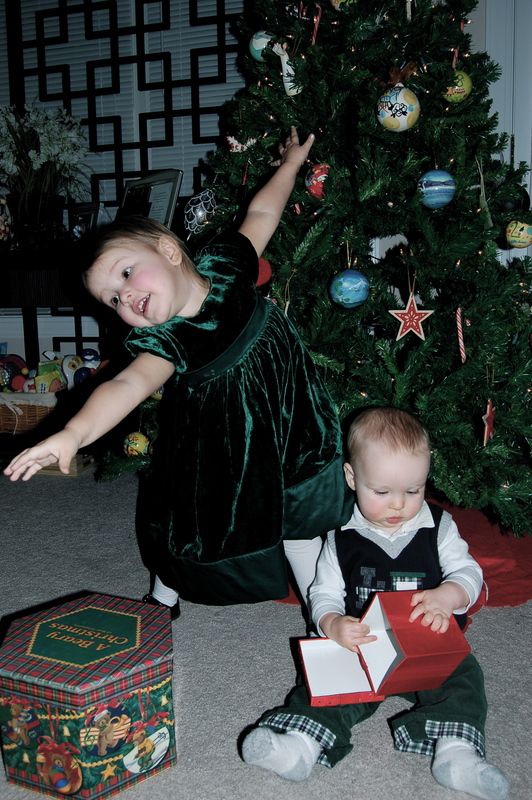 I have loved the different stages that we have been able to experience for our “first” Christmases. 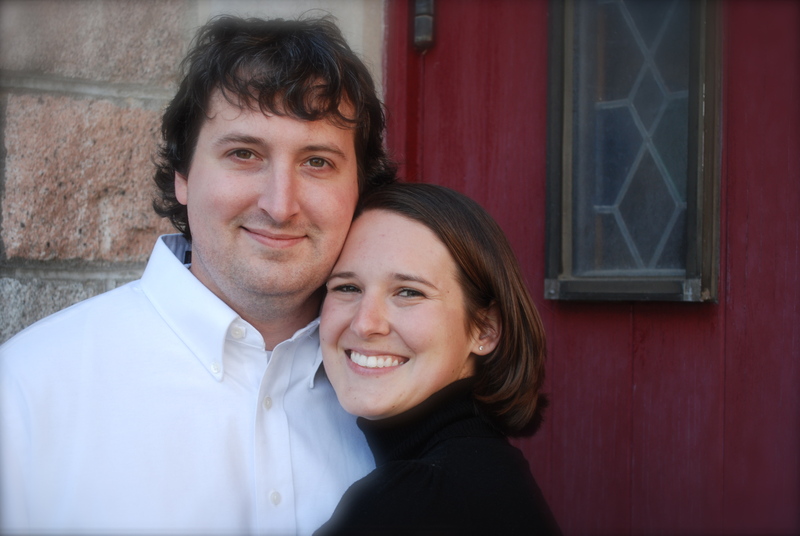 Jeffrey and I had never been together on Christmas day until we were married. I kind of liked that, because it was really special for us to finally wake up together on Christmas morning once we had been married for a few months! We had a tiny little tree in our apartment, and he gave me a Chicago sweatshirt that I still love to wear since we had just moved from that beloved city! 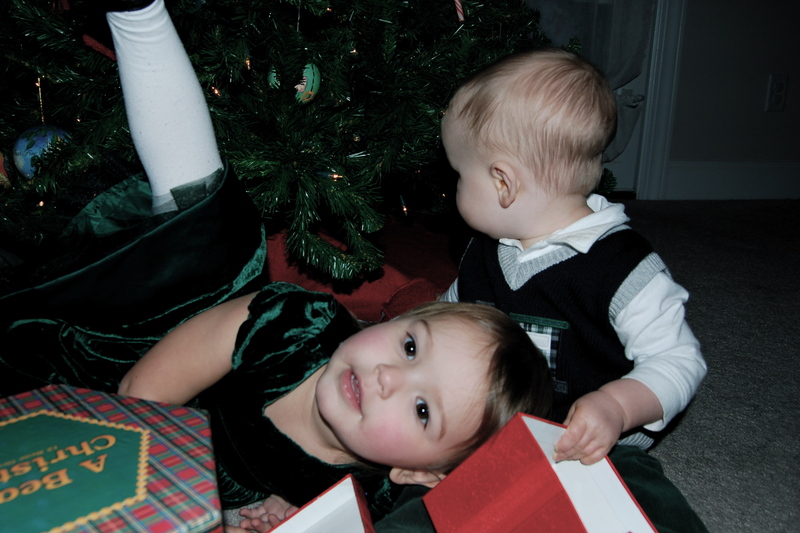 For SA’s first Christmas she was only 7 weeks old, and we were just beginning to get into a routine and get settled. She slept while we opened presents, and even though she was a tiny little baby she got lots and lots of stuff! Jeffrey and I got her her swing to nap in, and it was her and Reece’s favorite places to sleep for a while! 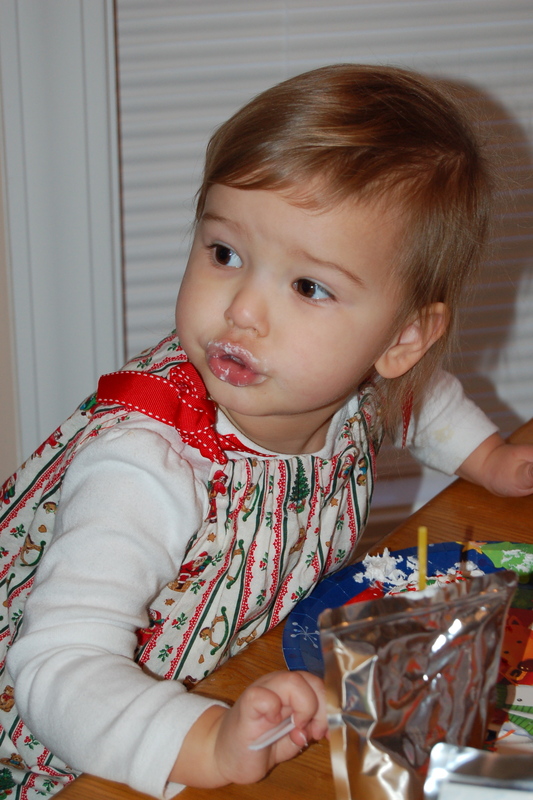 Last Christmas felt a lot like SA’s “first” Christmas, just because she actually knew more of what was going on. 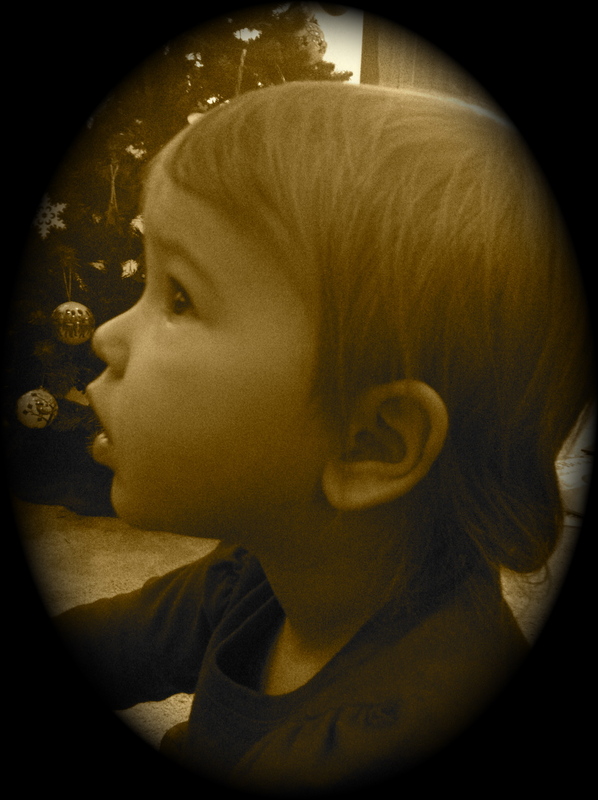 She loved looking at Baby Jesus, sitting by the Christmas tree, and opening all of her presents. She was a good walker by then, so she was all over the place. 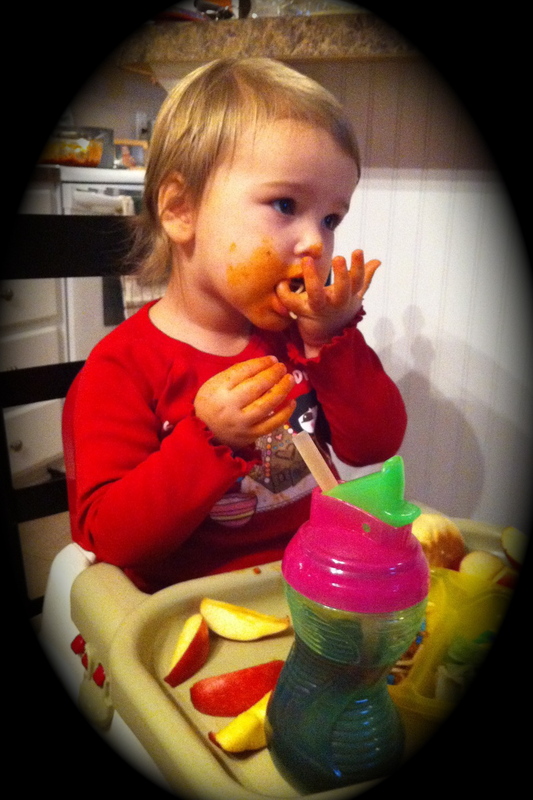 Even though she got a new farm and wagon, her favorite gifts were the Gerber fruit strips and snacks! 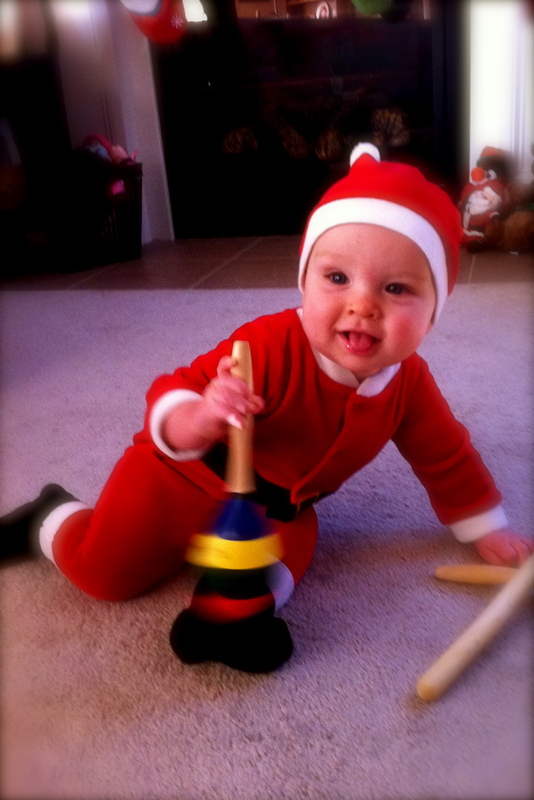 He was the cutest little Santa Claus I have ever seen in his little Santa outfit! He took his picture with Santa. He wouldn’t smile because he has just woken up, but I’m just glad he didn’t cry! 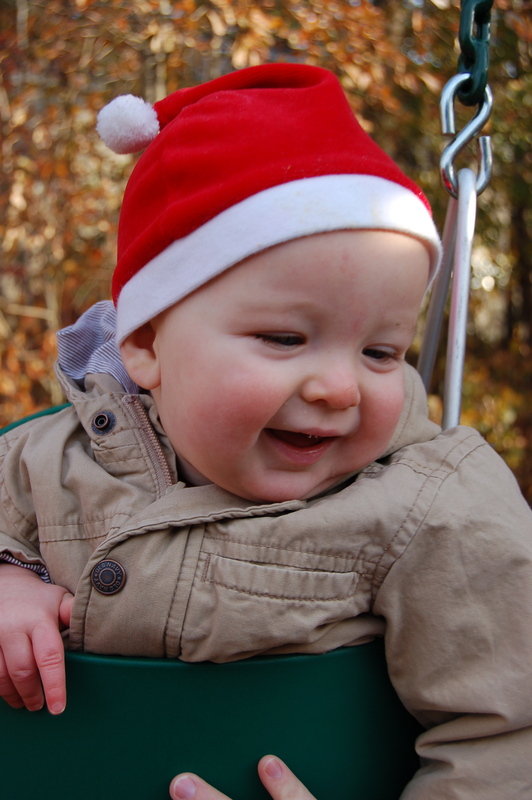 Reece loves to swing on the new swingset! He just grins and giggles the whole time. I have a feeling that gift will provides lots of fun for years to come! He managed to get a few ornaments off the tree every now and then, but no major damage! And I never really made a fuss about it, because he always looked so innocent and excited to be near the sparkling lights. 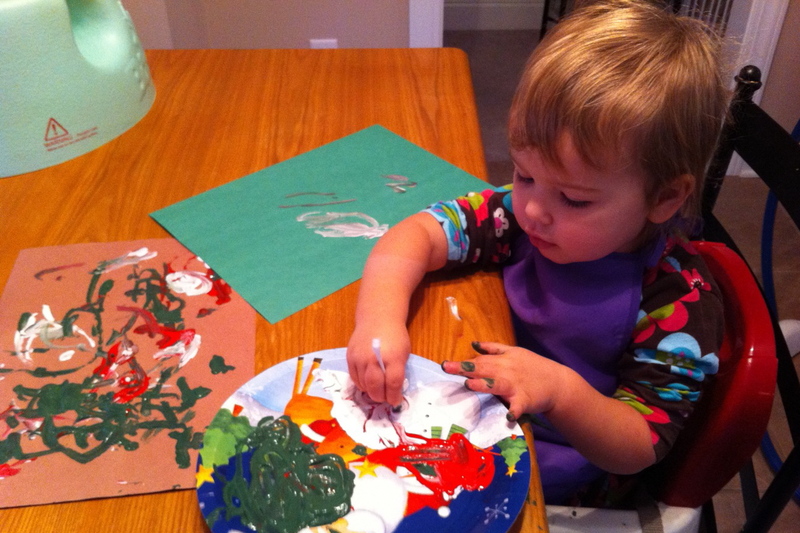 It took a lot of work to get his foot painted four times and put on the piece of paper right next to SA’s, but the outcome was great, and everyone loves their Christmas crafts! He wasn’t really into opening the presents, but he got very excited when we should give them to him once we were done unwrapping it! 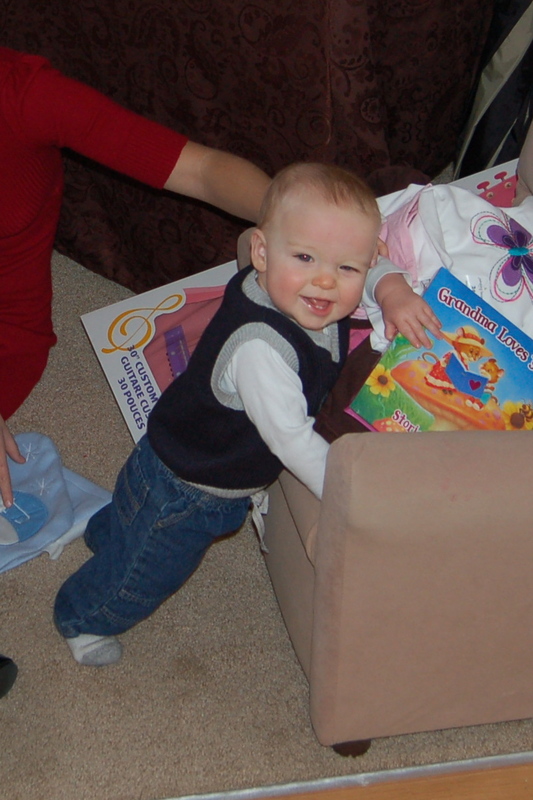 He would flap his arms and give a huge smile, and he couldn’t wait for us to get them out of the boxes! 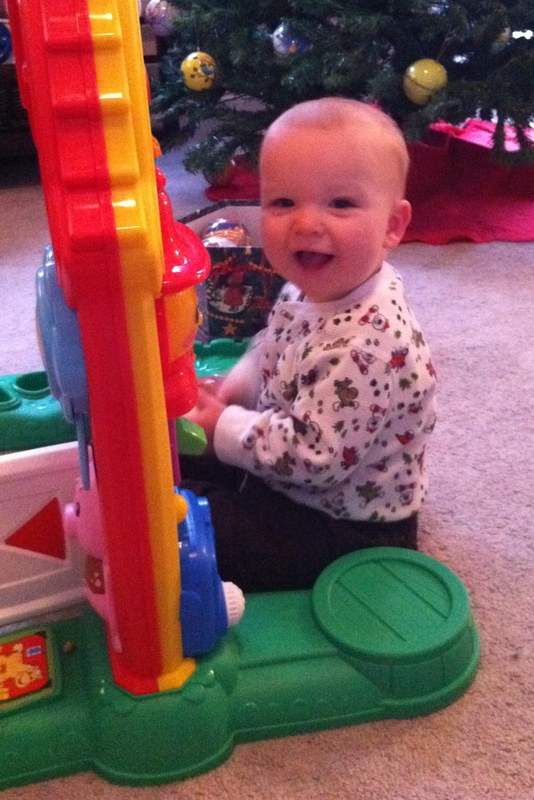 Reece is 100% all boy–his favorite new toys are blocks, tools, balls and trucks! 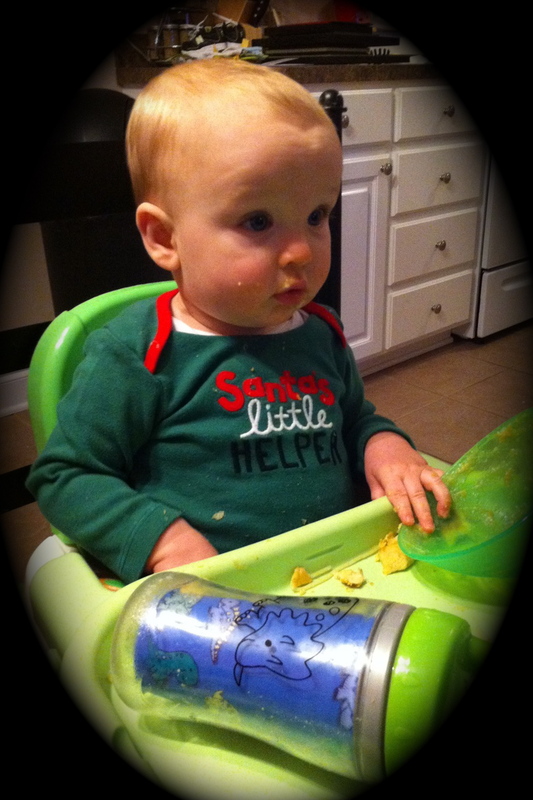 He had his first takes of banana pudding on Christmas day. I was sitting on the floor eating some, and I gave him a little taste…and then he kept coming back for more bites, over and over again! Reece got to experience his first snow the day after Christmas. Since it snowed back in February, I thought Reece would be much older before he saw snow, but I was wrong! 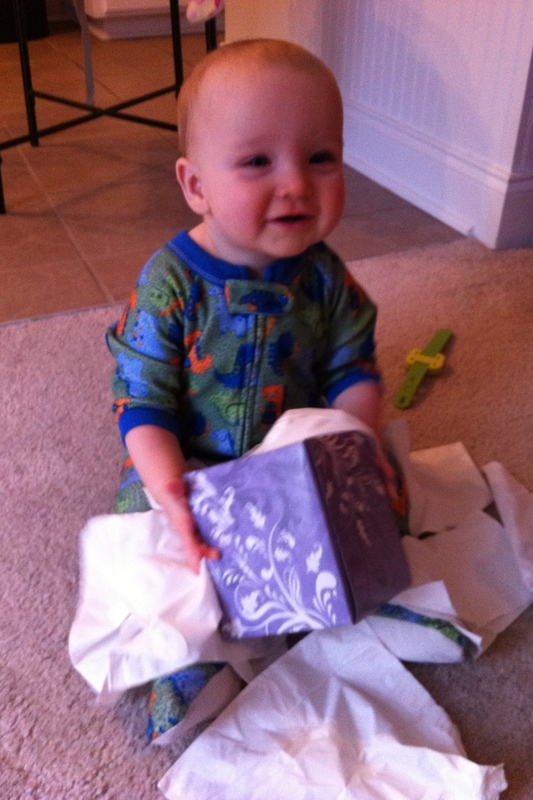 He loved watching it fall to the ground in front of his face, and he even crawled through it! I loved being able to share with him the story of Jesus’ birth. We read the Christmas story and talked about Baby Jesus all throughout the season, and my prayer is that he will come to know Jesus and love him with all his heart, because that little boy of mine has a very sweet heart! And having a baby at Christmas is such a beautiful reminder of how great God’s plan was to bring our King to the world as a little baby boy! I was so excited for our family to be waking up at home on Christmas morning this year and being able to spend the day and celebrate in good old South Carolina! I think this will probably be the last year we get to sleep until 8:00am on Christmas morning, so I am definitely counting that as one of my gifts! 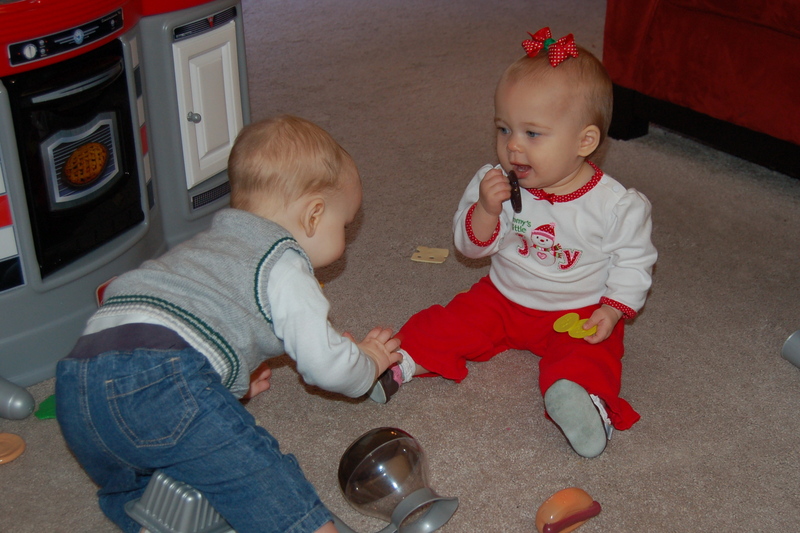 Once we all were up and out of bed we took the babies to the living room so that they could open their stockings and presents from each other. Sarah Ann went crazy over her “Five Little Monkeys” finger puppets and Sleeping Beauty Ballerina Doll, and Reece couldn’t wait for Daddy to get his truck opened up! He loved pushing all of the buttons. 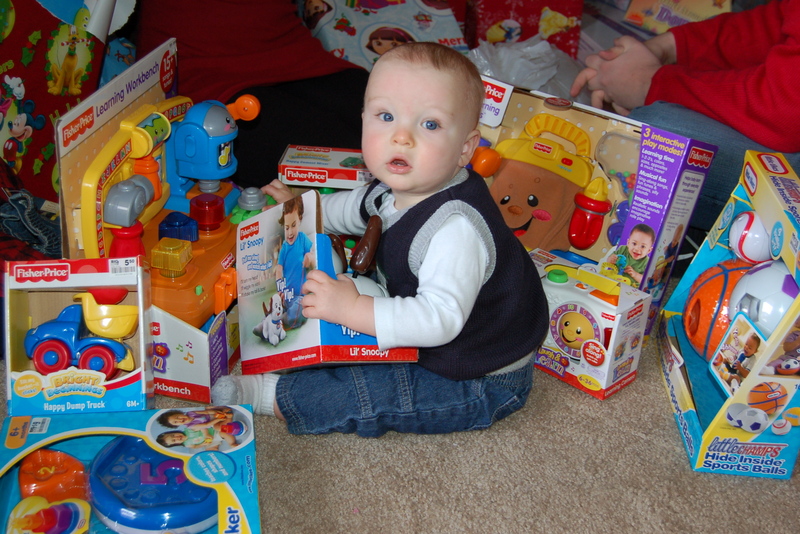 After we all opened our stockings, we got the babies all bundled up for the big surprise! I think we were definitely expecting Reece to start flapping his arms and kicking his feet, like he always does when he’s really excited, and for Sarah Ann to give us her “oh my goodness, oh my goodness” reaction…However, neither of those things happened! 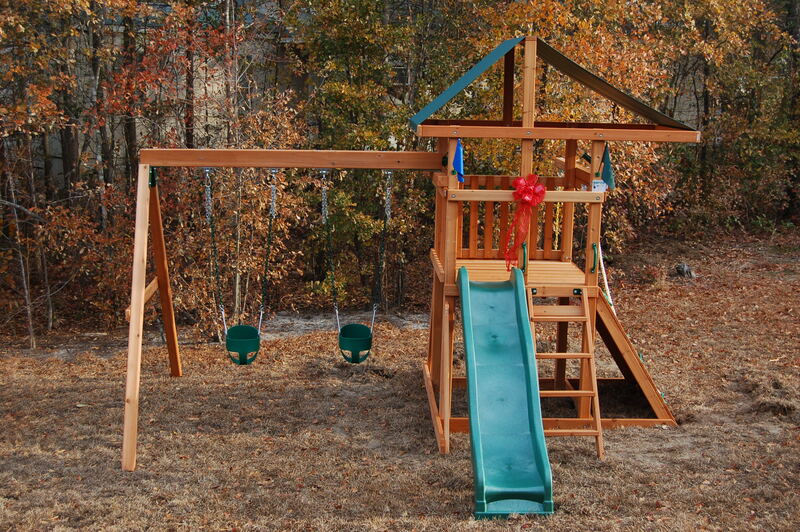 They both just stared at their brand new swing set! 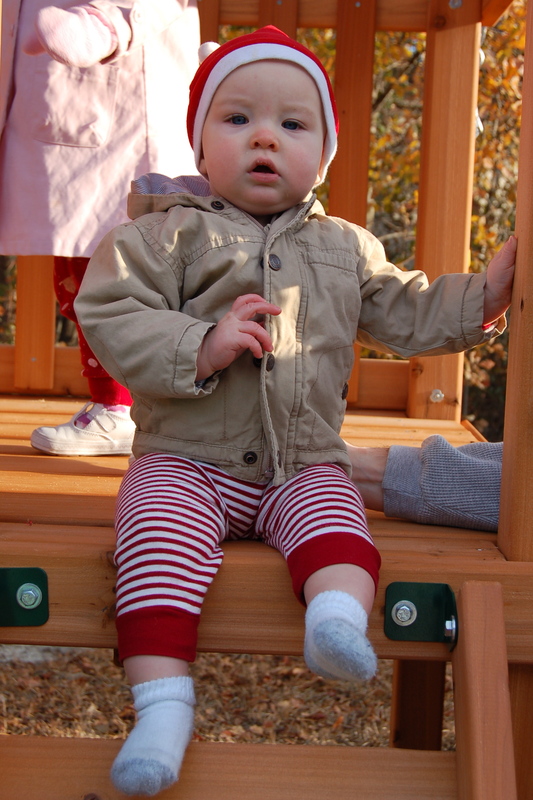 From the look on Sarah Ann’s face, I think she was trying to figure out how the park made it to our backyard! 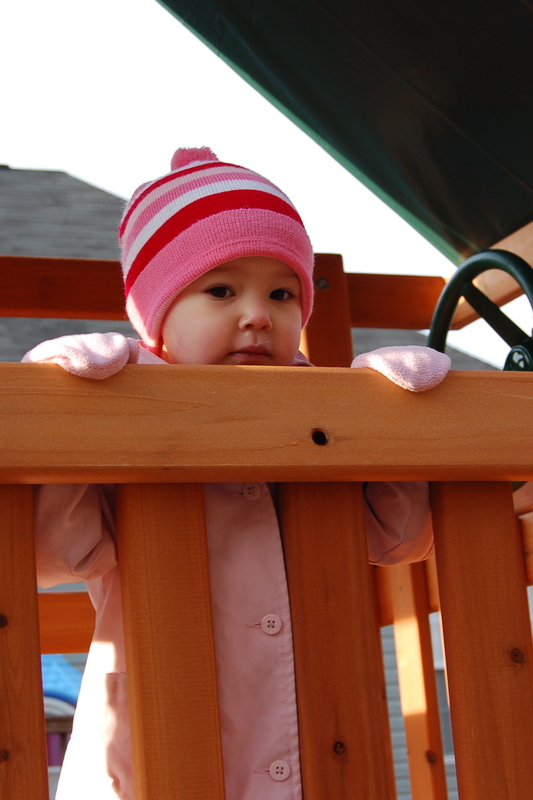 But once Reece started swinging and Sarah Ann started climbing, we finally saw their excitement–and I know that all of the hard work Daddy and Pops put into it was definitely worth it! After getting ready and Reece’s morning nap, we headed over to Nanny and Pops’ to eat lunch, open presents, and spend time with Uncle Jeremy! 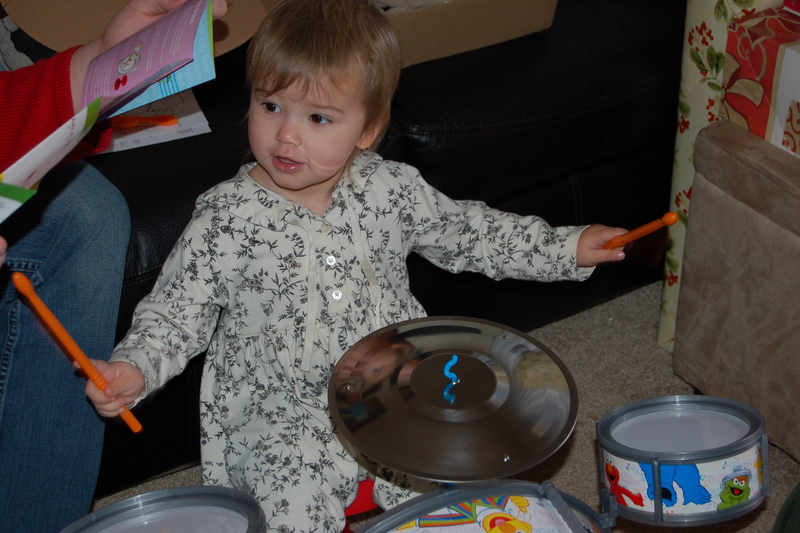 Sarah Ann was so funny about opening presents–she wanted to play with each one after she opened it, before moving on to the next one! 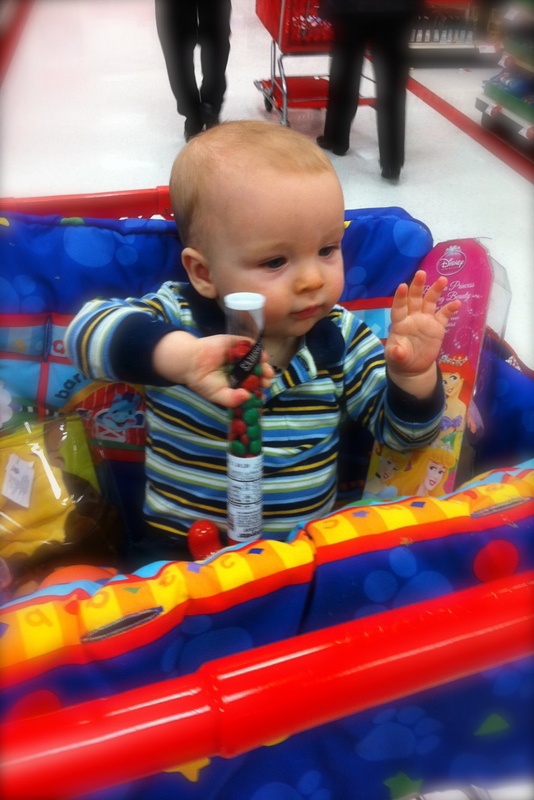 Reece, on the other hand, was in toy overload! 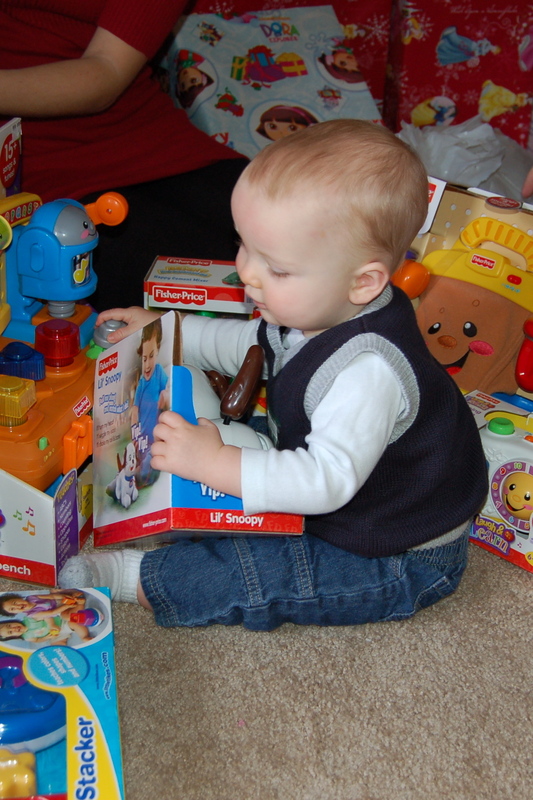 As Jeffrey and I “helped” him open his presents, he kept grabbing them until he was completely surrounded by all of his new toys and clothes! 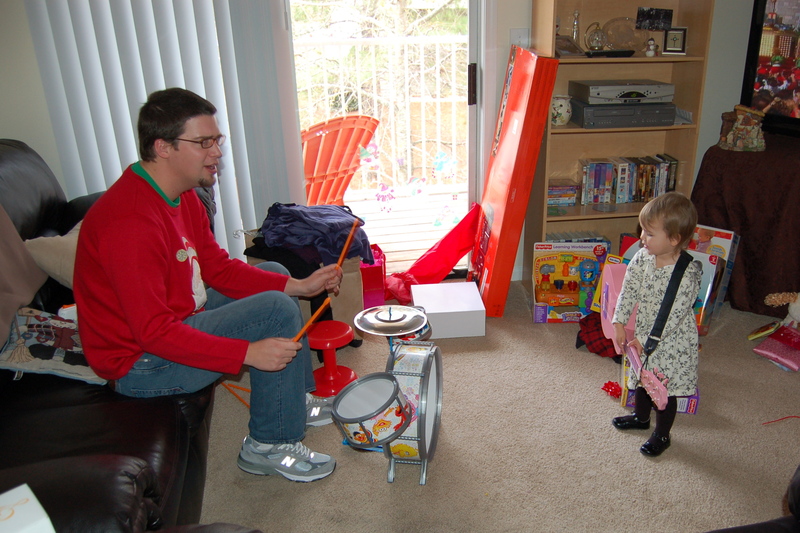 We had such wonderful day celebrating with our family, and we are having so much fun playing with all of our new toys! It was definitely a wonderful Christmas Day! 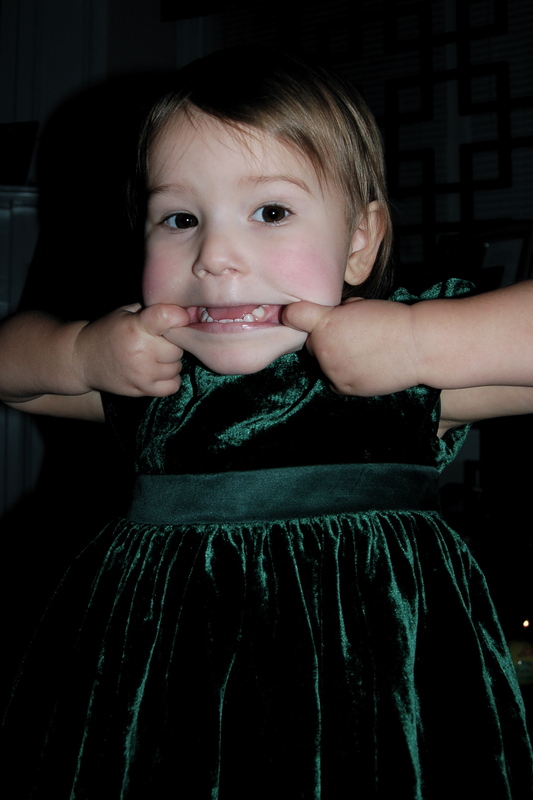 Here’s a little recap of our Christmas Eve 2010: Broadwell Style! 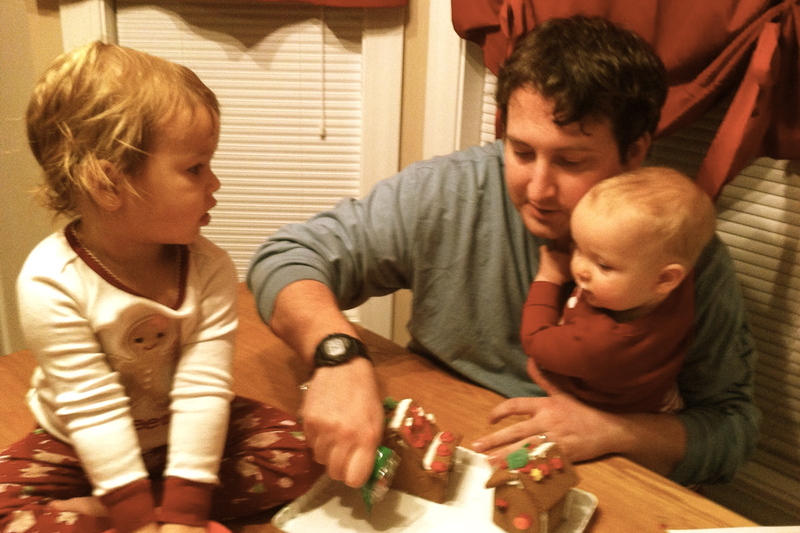 We loved having Daddy at home all day with us on Christmas Eve, and what better way to celebrate? Lunch at our very favorite Chick-fil-a! 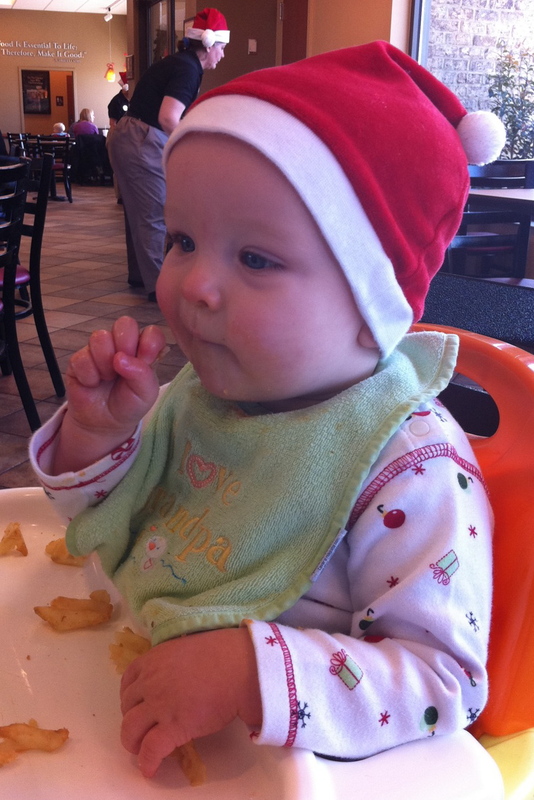 We actually went to Chick-fil-a on Christmas Eve last year too, because Jeffrey had just gotten to Atlanta to meet us for Christmas and we decided to have some family time…so maybe we will make this a tradition! 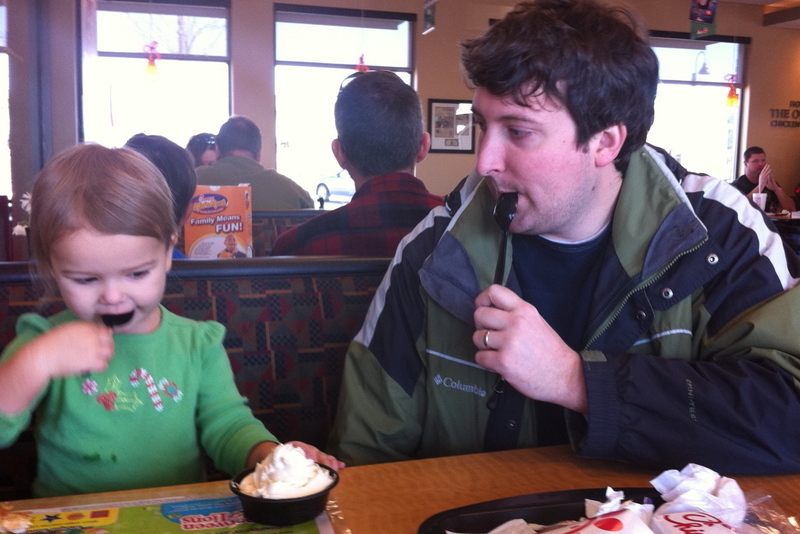 This Broadwell Family will never turn down a chance to eat at Chick-fil-a! After naptime, which actually didn’t happen for Sarah Ann because we was just too excited, we went to LBC for the Family Christmas service. We got to see a live nativity and make an ornament while hearing the Christmas story and singing Christmas carols–SA and Reece both really enjoyed the service! Pops joined us for the evening while Nanny went to go get Uncle Jeremy. We had planned to come back to our house and grill out, but on the way home Jeffrey noticed that San Jose was open—and Jeffrey can never turn down Mexican food! So, we decided to stop by and grab dinner there. Sarah Ann and Reece definitely didn’t mind. 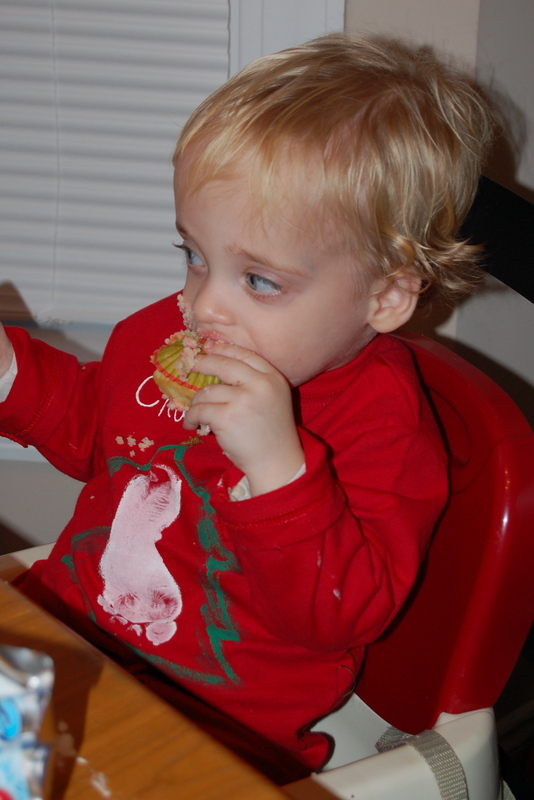 Reece ate a whole tortilla and Sarah Ann loves the queso! When we got home we had a little Christmas Eve photo shoot, and let’s just say that Sarah Ann was completely giddy by this point, but we did get some fun pictures of the babies in their Christmas outfits. 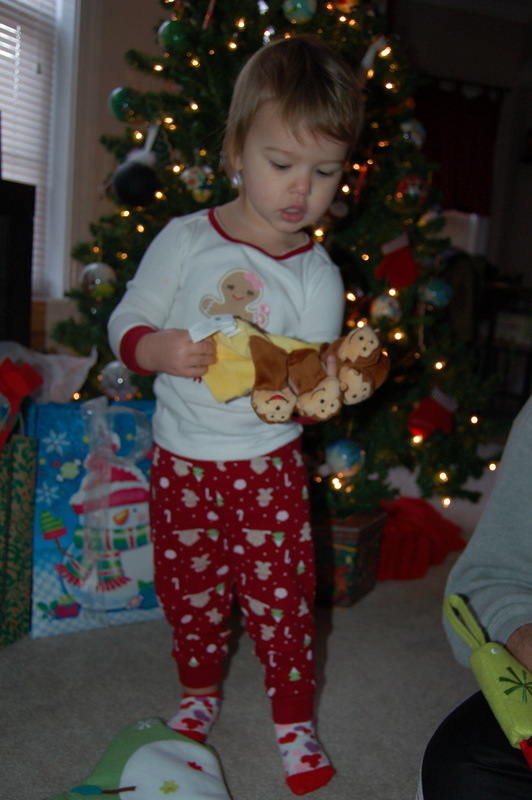 Lastly we put on our Christmas pajamas one last time and read the story of Jesus’ birth by the Christmas tree. I love the way that the “Jesus Storybook Bible” explains this amazing story. 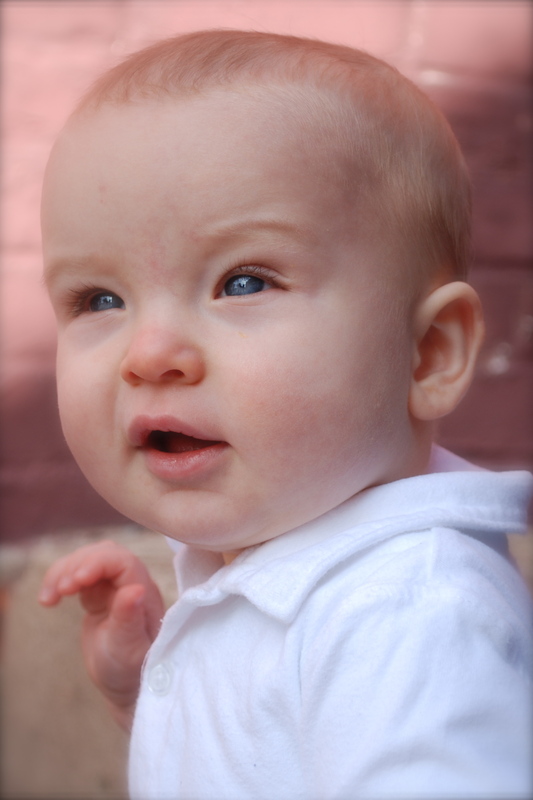 We prayed and thanked God for sending a beautiful and most wonderful baby boy to be our Rescuer! So, this might have not been our typical Christmas Eve, but we were so blessed to be able to spend time with our family and reflecting on what Christmas is all about! 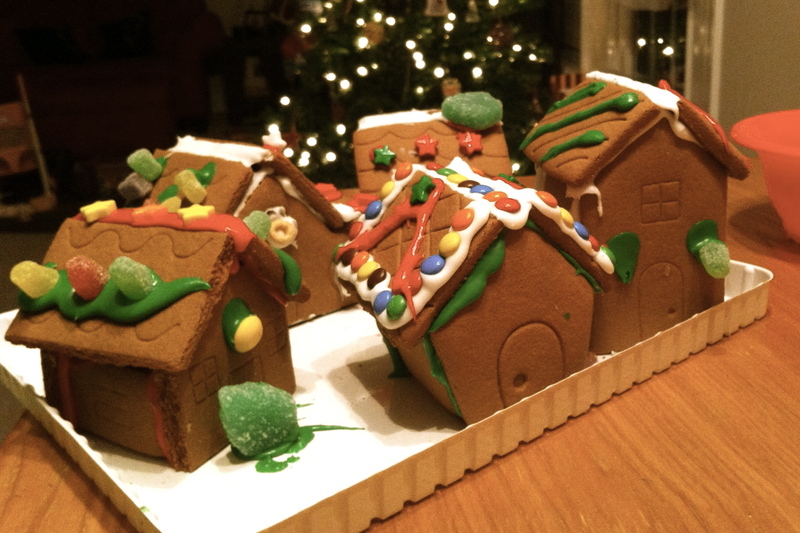 And that’s how you celebrate Christmas Eve: Broadwell style! 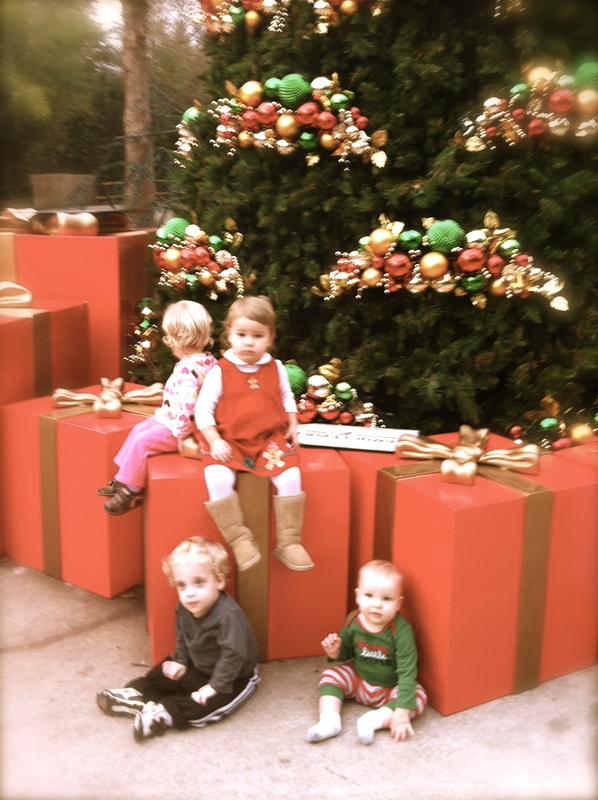 …and enjoying our time together on a very special “Chri-mas” day! Day 20: Monday afternoon Sarah Ann and Reece had some friends over for a “Happy Birthday Jesus” party. 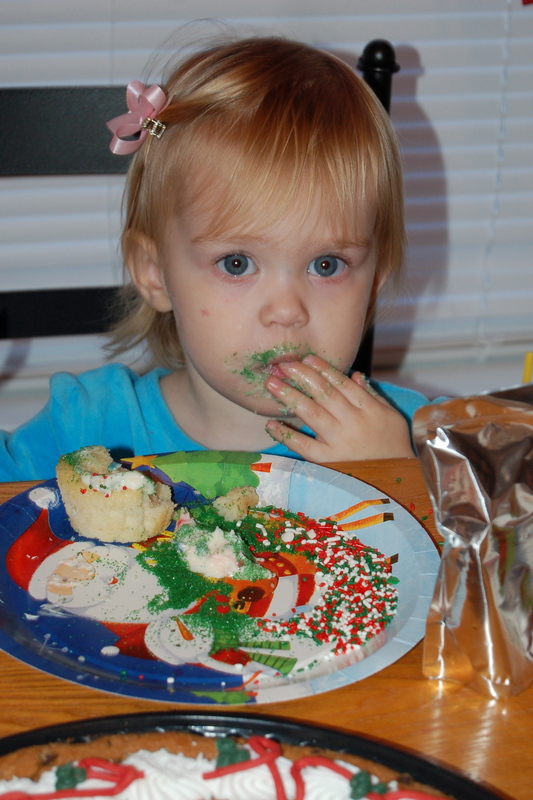 We decorated cupcakes, ate cookie cake, sang “Happy Birthday” to Jesus, and played with all of our toys! 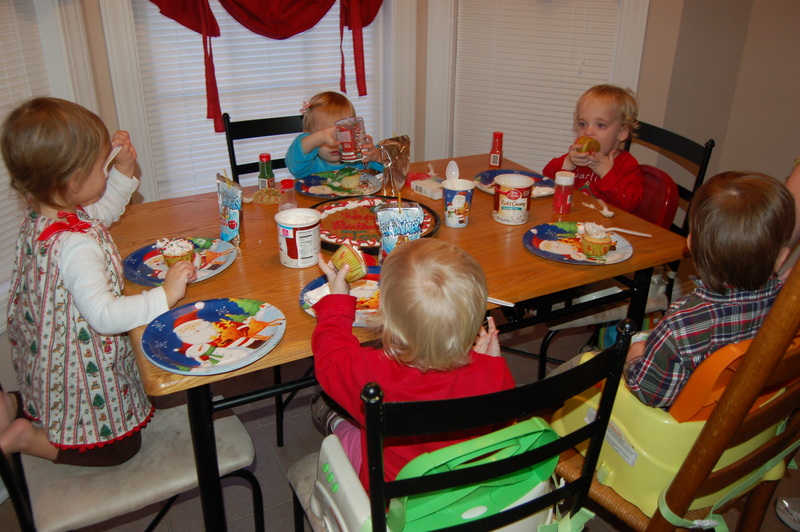 Sarah Ann, Anna Claire, Charlie, Addie, and Nathan did a great job decorating their cupcakes and eating lots of icing. They also made cards and colored pictures. 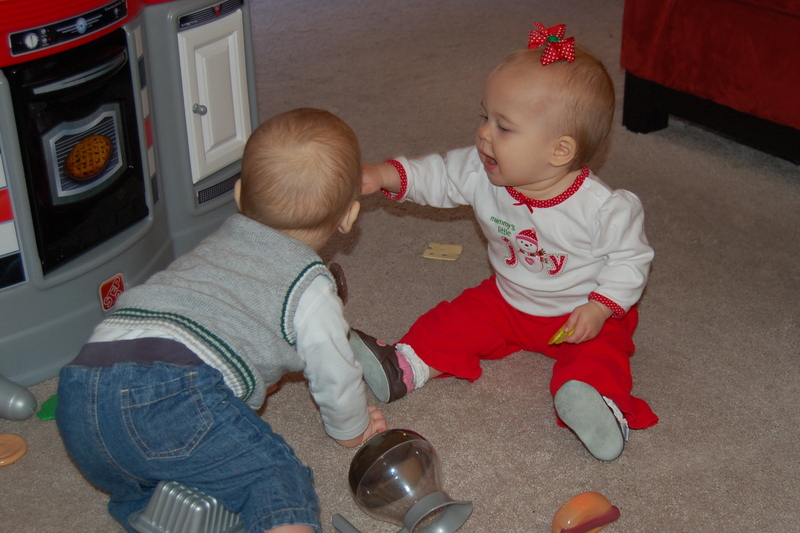 The two little cuties, Reece and Carlie, had lots of fun playing on the floor and checking each other out! We are so grateful for all of our friends! 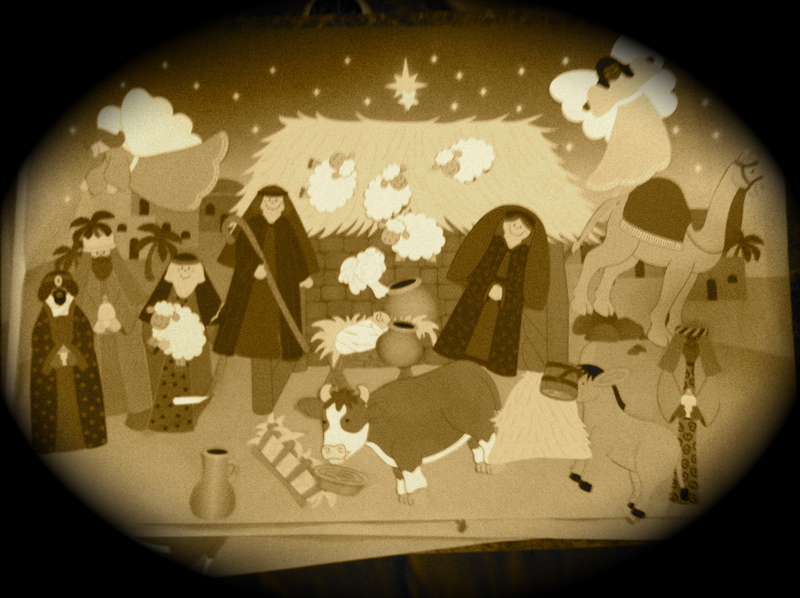 Day 21: Tonight we watched a cartoon about Jesus’ birth and Christmas from the Read and Share Bible Series. 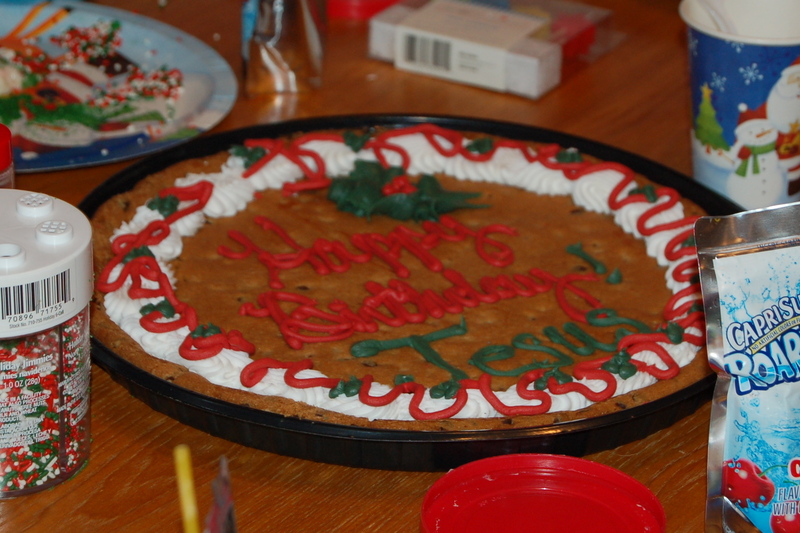 Since Sarah Ann has been talking a lot about Jesus’ birthday and asking lots of questions, I thought it would be great for the kids to be able to visualize it a little bit better. Reece was a little more interested in the case, but Sarah Ann really focused on the movie and has asked to “watch baby Jesus” over and over again! Sarah Ann and Reece spent the day with Nanny on Tuesday so that I could meet up with my friend Diana and enjoy lunch and catch up…she just got engaged! 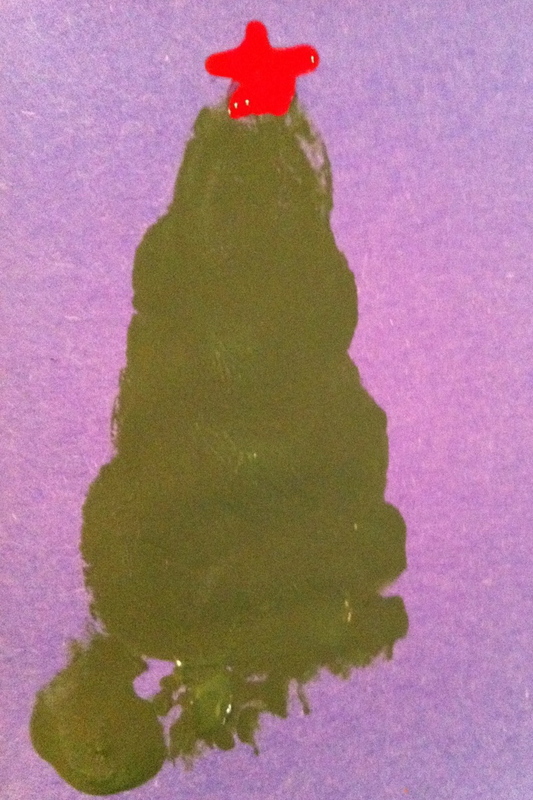 While they were with Nanny, they decorated their own nativity picture! Day 22: Wednesday afternoon we took full advantage of the warm weather outside and visited the zoo to tell the animals “Merry Christmas” with Anna Care, Chardie, and Miss Taffy. The afternoon is the absolute best time to go–we got to see so many of the animals and all get some fresh air! 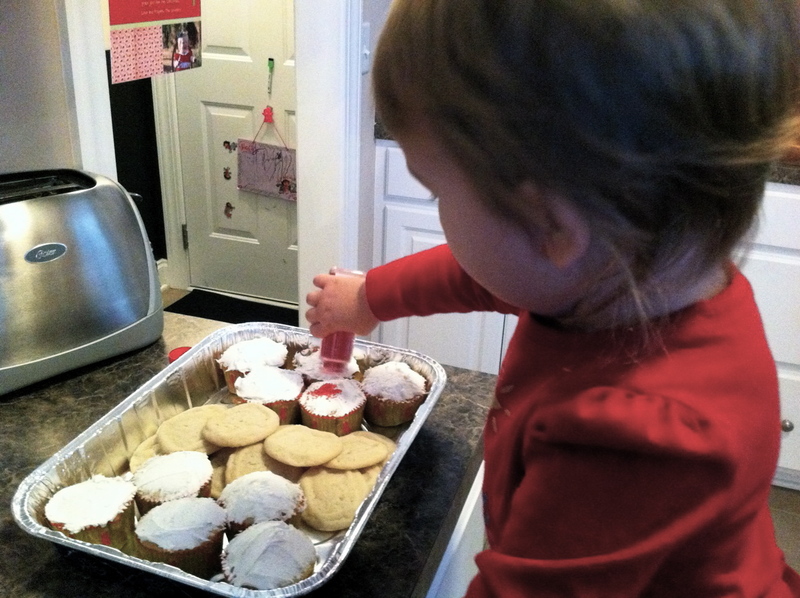 Day 23: This morning Sarah Ann and Mommy made cookies and decorated cupcakes while Reece took his morning nap. 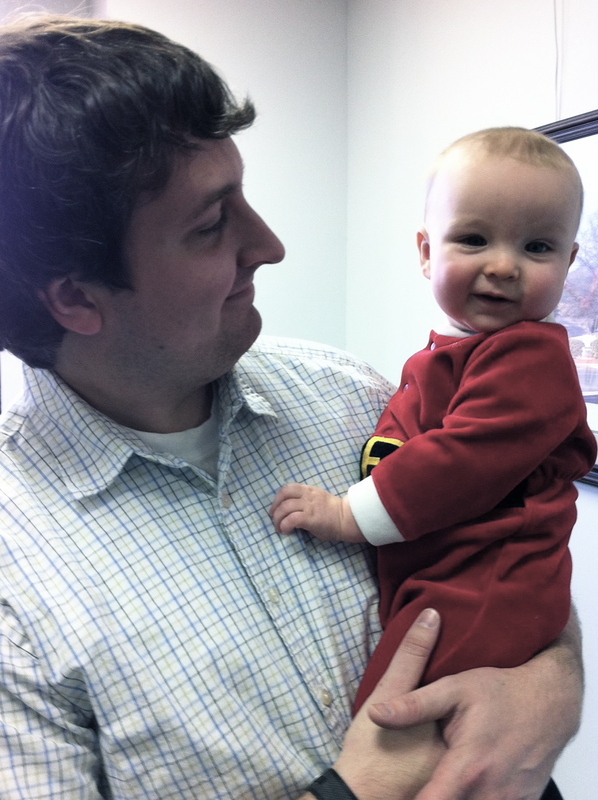 After he woke up we headed downtown to see Daddy and share all of the goodies with him and all of his co-workers. Sarah Ann was so excited and was dancing all around, and little Reece Man was the cutest little Santa Claus all the ladies in the front of the office had ever seen! Daddy and Pops have been hard at work in the evenings getting SA and Reece’s Christmas present ready, so the babies haven’t seen Daddy much the past couple of days. They were very happy to spend a few minutes with him at the office today! Day 24: We are sooooo excited that Daddy has the day off tomorrow! We have a couple of little errands to run, a lot of playing and relaxing to do, and then we are going to be attending the Christmas Eve Family Celebration at LBC…they are going to have a live nativity! 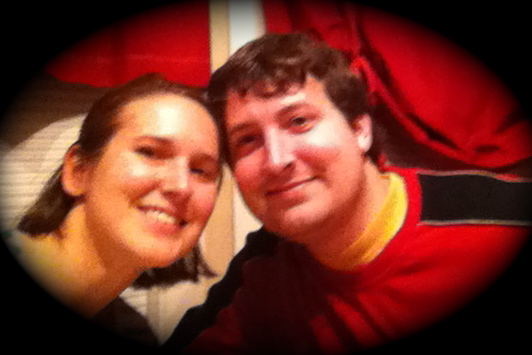 Day 25: I am so excited about waking up on Christmas morning at our own home for the first time since we’ve been married! We are going to spend the morning together as a family eating breakfast and opening presents. After Reece’s morning nap we’ll spend the rest of the day with Nanny, Pops, and Uncle Jeremy! Check back after the weekend for lots more pictures and fun!! 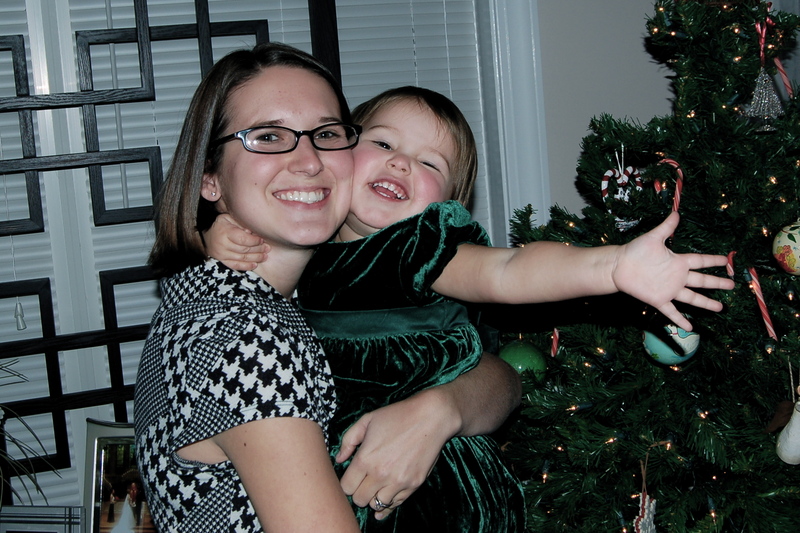 I have loved seeing Christmas through Sarah Ann’s eyes this year! She is so full of wonder and excitement. 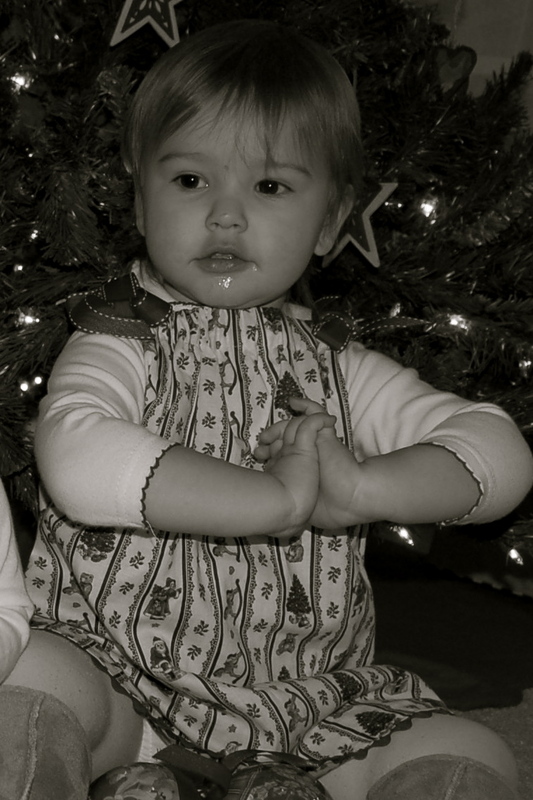 She loves the Christmas tree and the “starfish” on top. 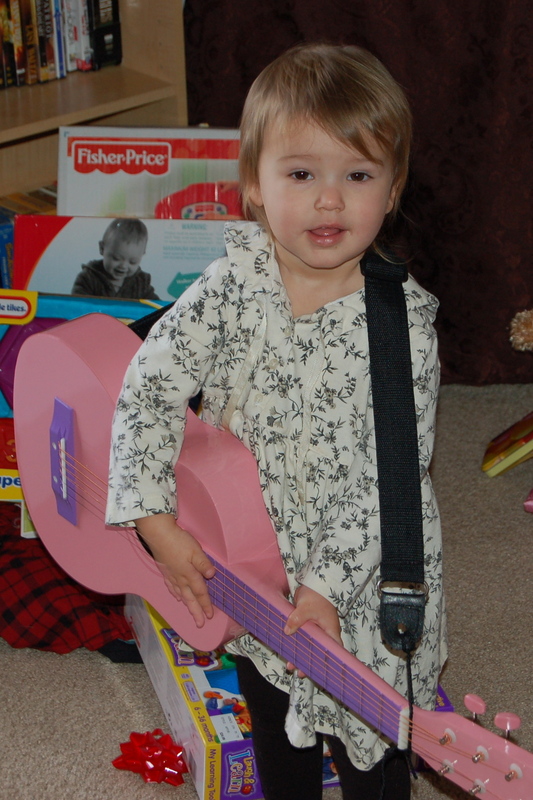 She likes to “rock” Baby Jesus from our Nativity set. Christmas lights, stockings, presents, giving and sharing, singing Christmas songs and watching Christmas movies…she is soaking it all up and loving every minute of it! Oh, sweet girl, I pray daily that you will love Jesus with all of your heart and that you will always long for His return and seeing Him in all of His glory…what a wonderful day that will be! 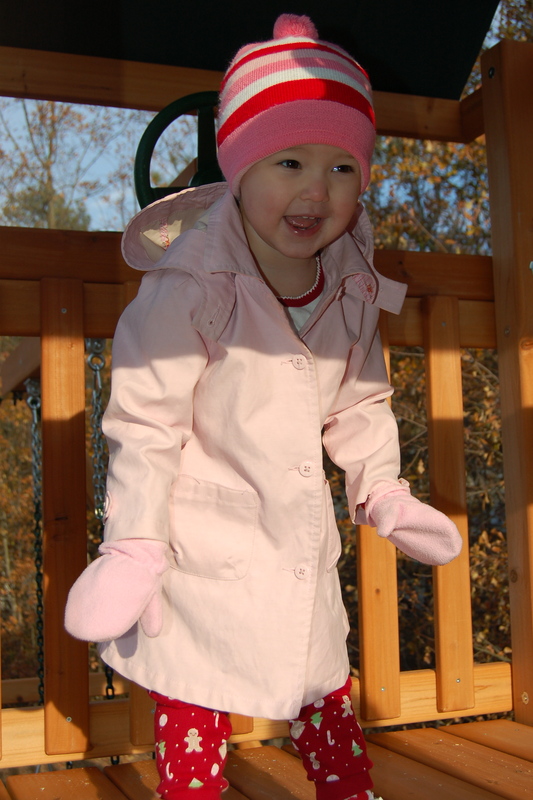 on daddy’s sleeping bag sleigh! 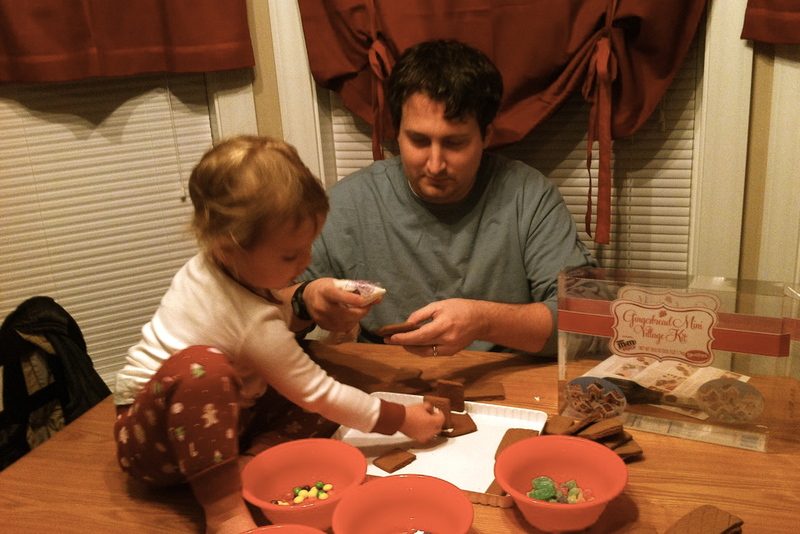 Day 14: Tuesday night Jeffrey and Sarah Ann worked very intently on our gingerbread village. Sarah Ann did a great job putting on all of the decorations and was so patient while Jeffrey did all of the icing, and Reece got to have his first take of Honey Nut Cheerios while they were working! 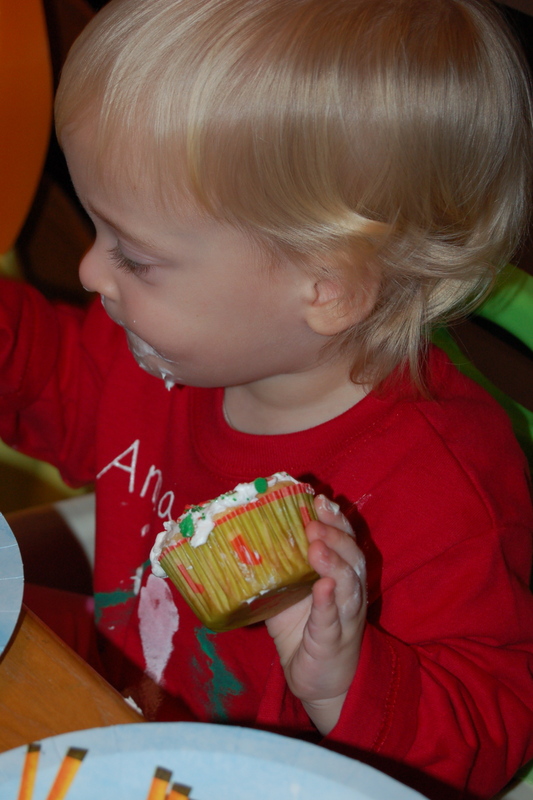 He also just might have had one little taste of icing! 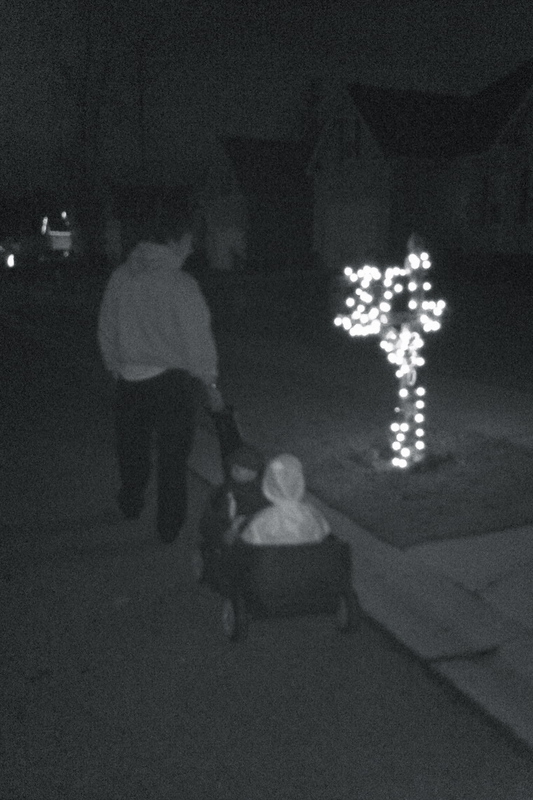 Day 16: After being inside all week, we finally ventured out of the house Thursday night to look at the Christmas lights in our neighborhood. The weather had finally warmed up a little that day, and it was so great for all of us to be able to get some fresh air! 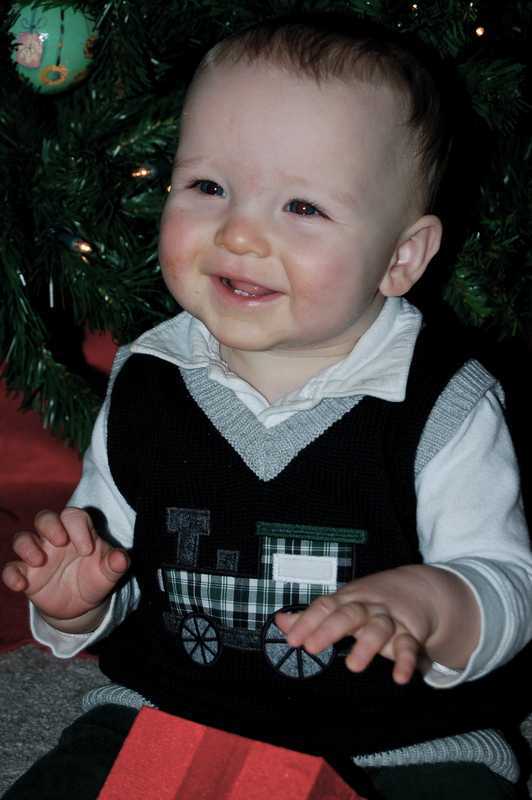 Little Reece Man loves riding in the wagon, and Sarah Ann loves talking to him the whole time they ride. Day 17: Friday morning we dropped off our “Toys for Tots” donations on the way to gymnastics. 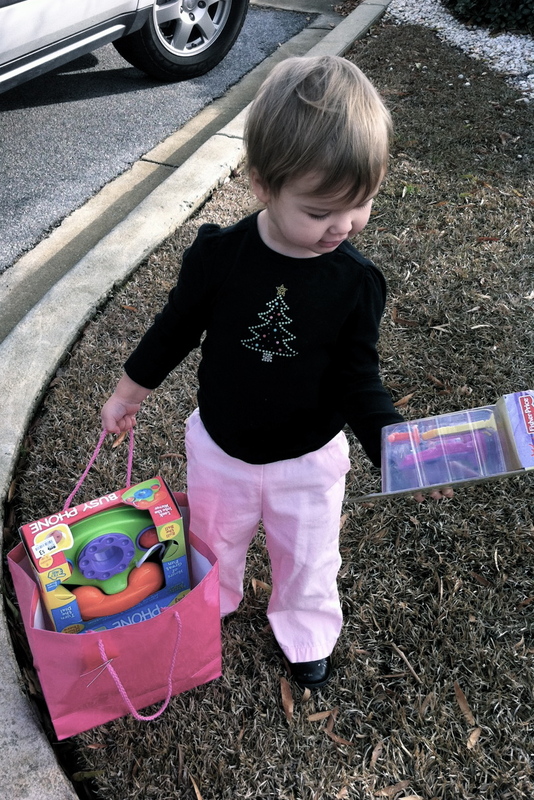 Sarah Ann did a great job carrying the toys and delivering them, and she even said “Bye Bye, Dora” as we left. It was a big deal for her to donate a brand new Dora toy, and I am very proud of her. 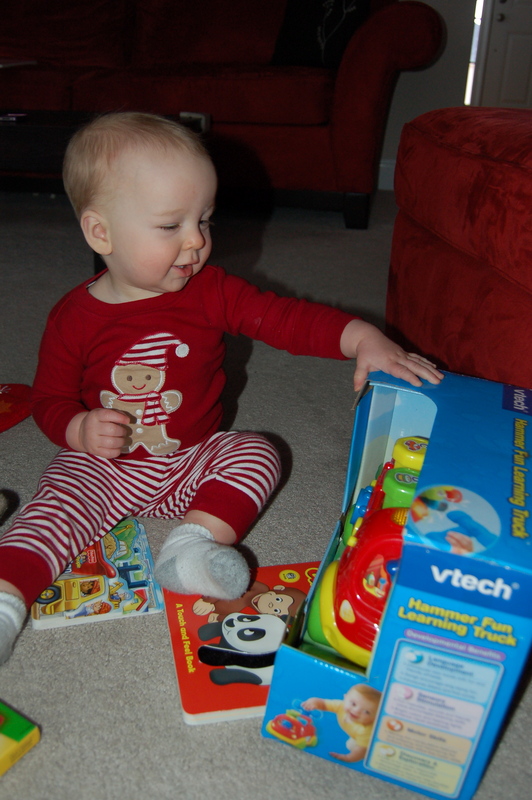 We have talked a lot about how that Dora toy will make someone very happy on Christmas morning! Day 18: Saturday evening we went to dinner at Five Guys and enjoyed some delicious burgers and fries before doing a little Christmas shopping. 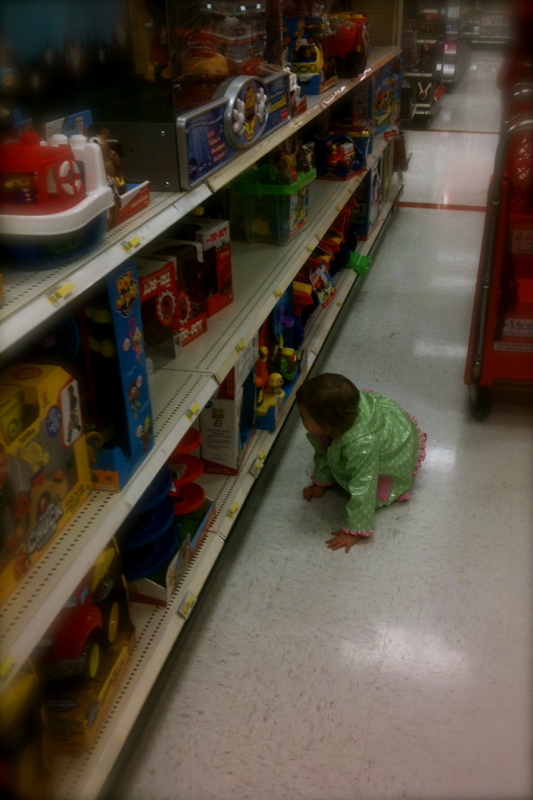 After we finished eating we headed over to our favorite store, Target, so that the babies could buy gifts for each other. They are getting one big gift from Mommy and Daddy, so we decided that a new tradition could be for the babies to fill each other’s stockings. 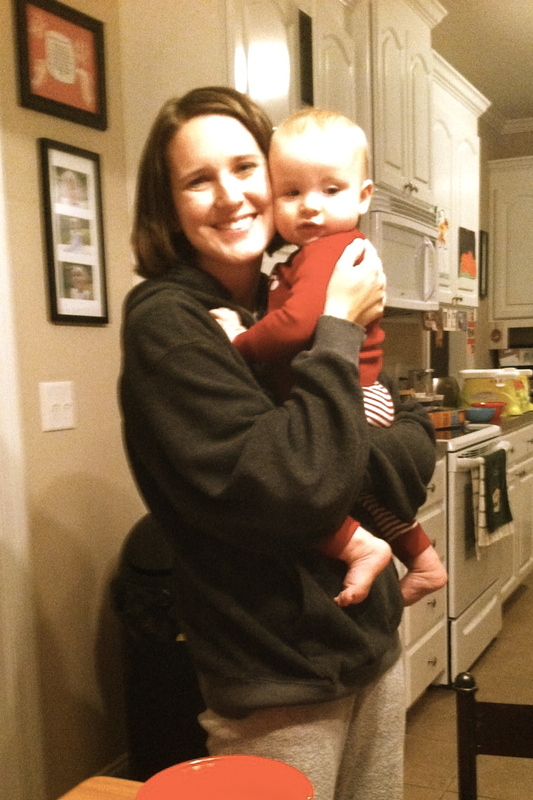 Jeffrey took Sarah Ann around, and Reece strolled around with me. 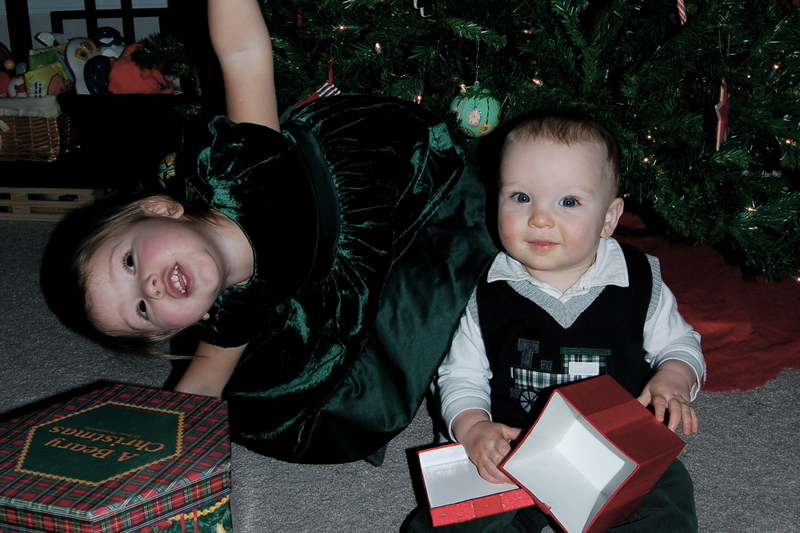 Sarah Ann took the job of finding a present for Reece very seriously, but Reece just enjoyed holding on to the gifts and candy we picked out for Sarah Ann. Day 19: Sunday night was “Red and Green Night” at our house. We all wore red or green to dinner, and we ate lots of yummy red and green food. We had spaghetti and caesar salad, and Reece ate green beans. The babies also got to watch “Yo Gabba Gabba: Christmas” while we were eating, and they were quite entertained…and being able to enjoy dinner and conversation with Jeffrey while the babies watched the show was pretty great too! 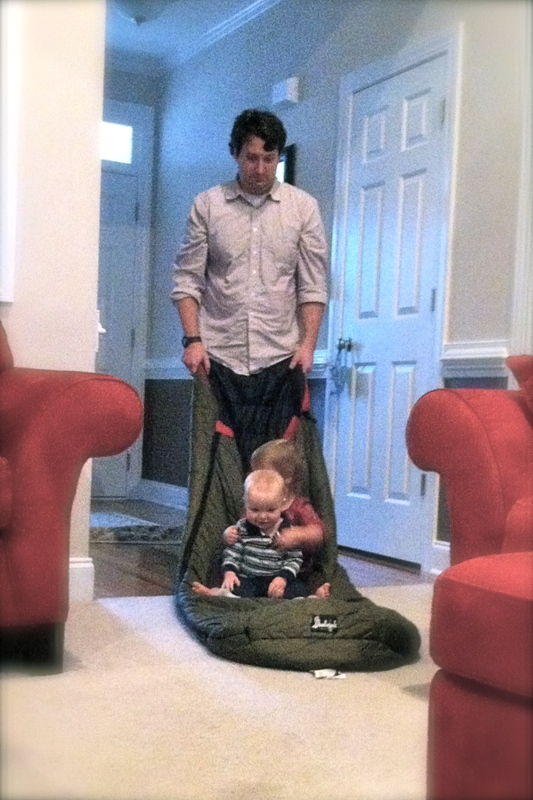 Before Reece was born, Jeffrey, Sarah Ann, and I would all roll out of bed around 8. Jeffrey would get ready while Sarah Ann and I ate breakfast, and then Sarah Ann and Jeffrey would play while I jumped in the shower before Jeffrey left for work. Then Sarah Ann would sit on the counter and “help me” while I finished getting ready. She loved playing with all of my hair bands and makeup. Until this week! With both babies being under the weather, and none of us getting much sleep, and staying at home all day, I haven’t been getting out of bed until the last possible minute! So, I’ve been getting ready while Reece takes his morning nap, and Sarah Ann has once again had the chance to “help me” get ready! 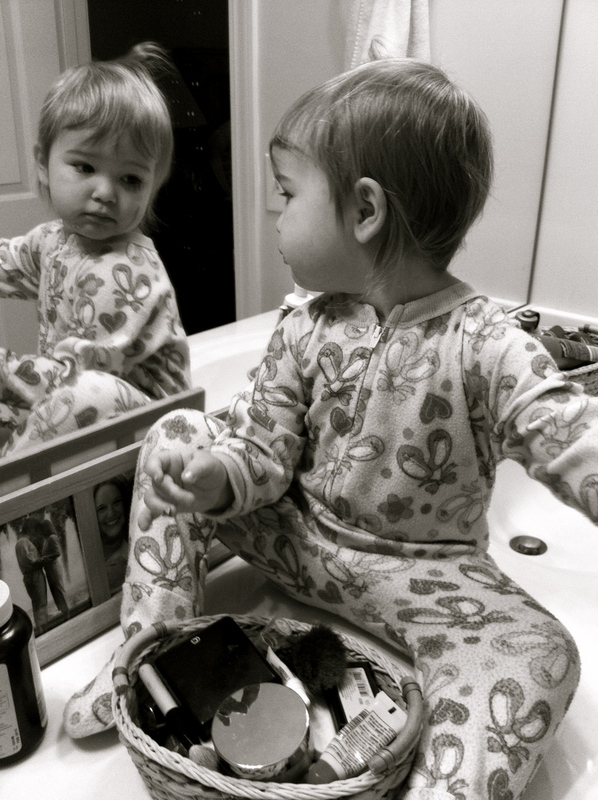 But, now, she’s even more into getting herself ready! 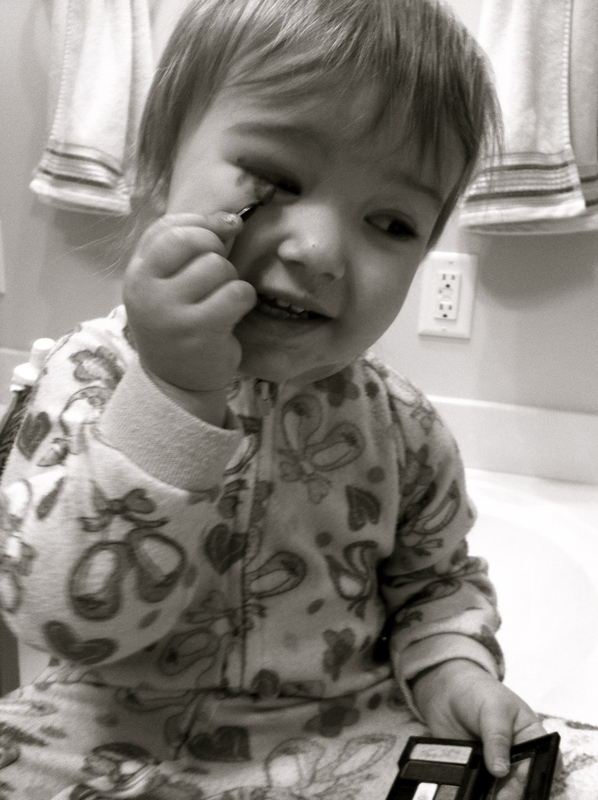 Yesterday she had eyeshadow and blush all over her face…it was quite the sight! 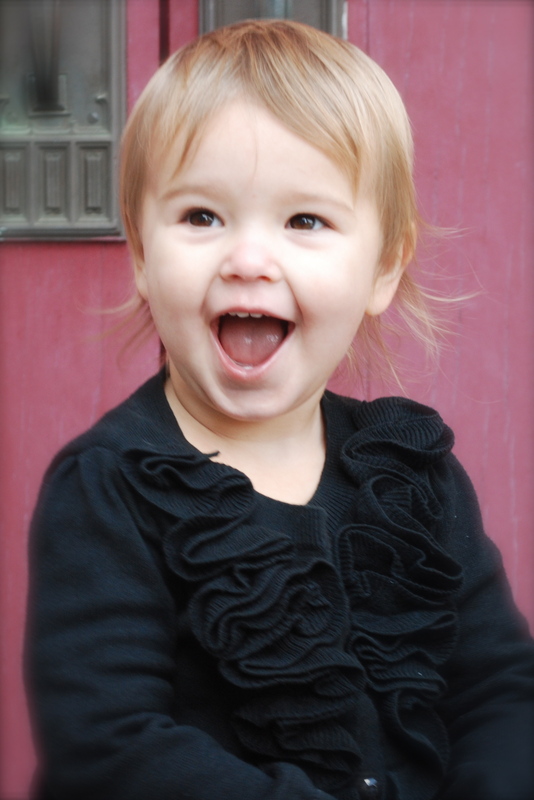 I don’t know where she gets it from, but she is such a little girlie girl sometimes, and I absolutely love it! Maybe I should let her “help me” get ready more often! 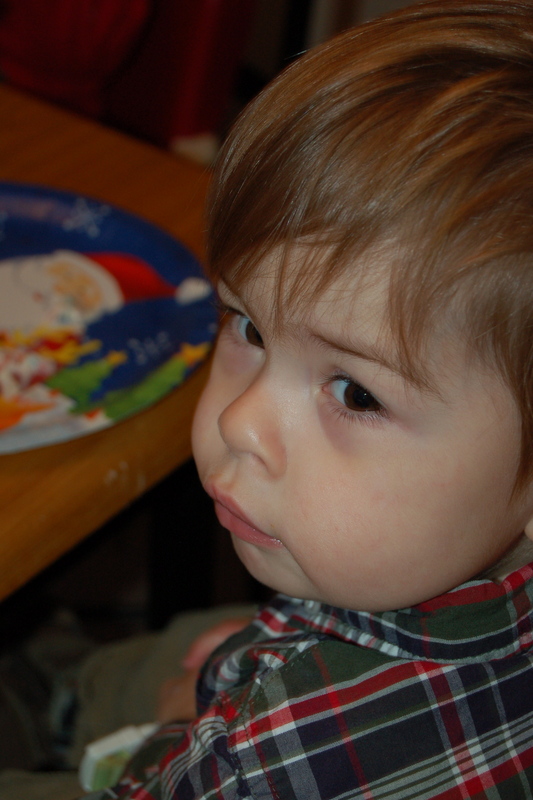 He has lots of nicknames–The Reecer, Reece Man, The Reecinator, Baby Brudder, Reecey Piecey, Sweet boy, Mommy’s Little Man, and of course most recently, Buzz Lightyear and DJ Lance Rock! He definitely has a temper–He is usually the most laid back boy, but if you take something away from him you are definitely going to hear about it, and boy can he get loud! He likes to be cuddled and rocked to sleep, but once he is asleep he needs his space, so that he get on his tummy and sleep! His sister can make him smile and laugh more than anyone else! 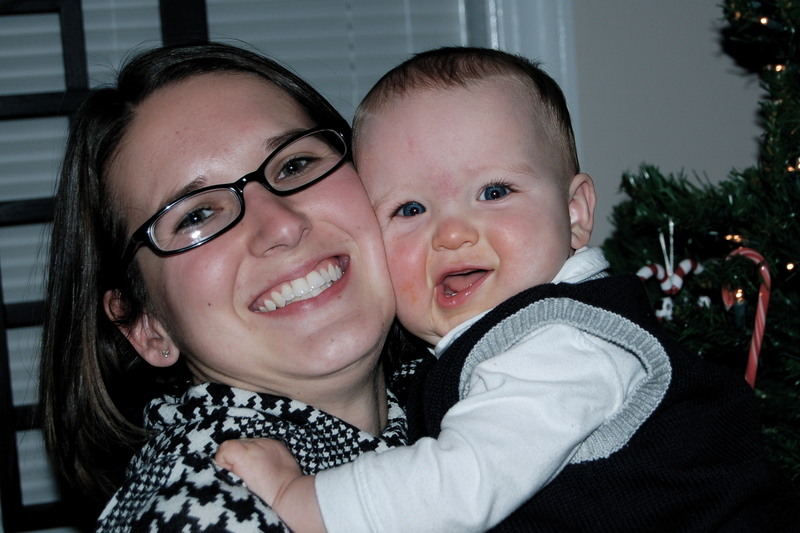 He loves food, especially bread and french fries, and he usually eats all of his baby food too. But his favorite part of the meal is when he is all done with his baby food and I give him his spoon and bowl to play with until everyone is done eating. 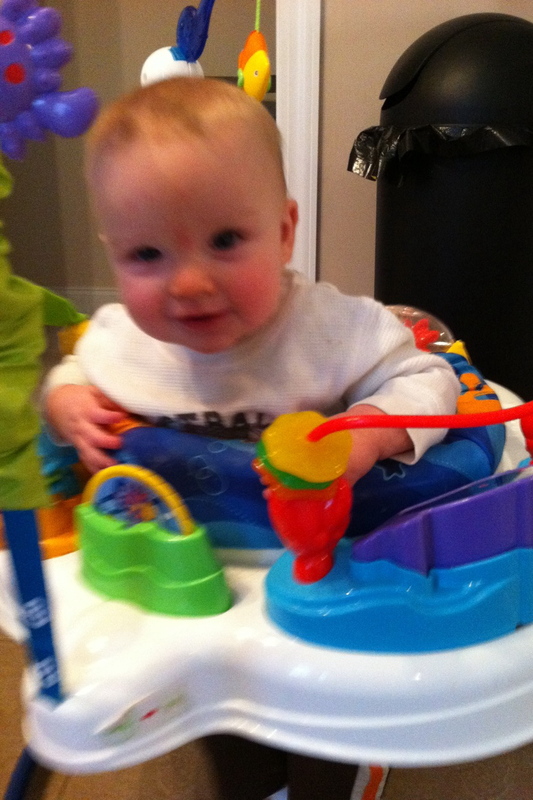 He is crawling everywhere, all the time, and very fast! If I leave the room, I know that he will not be far behind me. It’s funny how you can’t wait for them to crawl, but now that he is, sometimes I wouldn’t mind if he couldn’t so that I know he would always be where I left him. 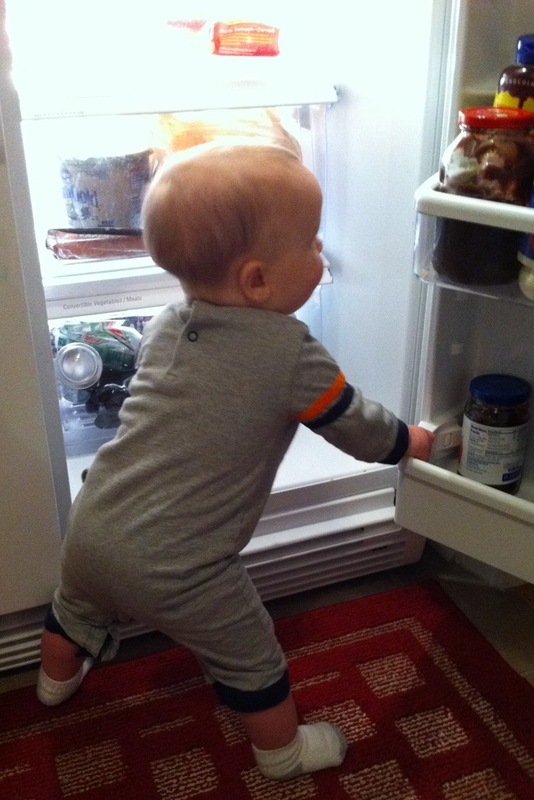 Just in the past couple of days, he has started pulling up on everything–the coffee table, the refrigerator. I mean seriously, please slow down Little Reece Man! One of his favorite things to play with is the doorstop, and he finds them in every area of the house. He is also becoming very interested in all of the cabinets and getting into just about everything! I definitely have to keep my eyes on him (and his sister)! 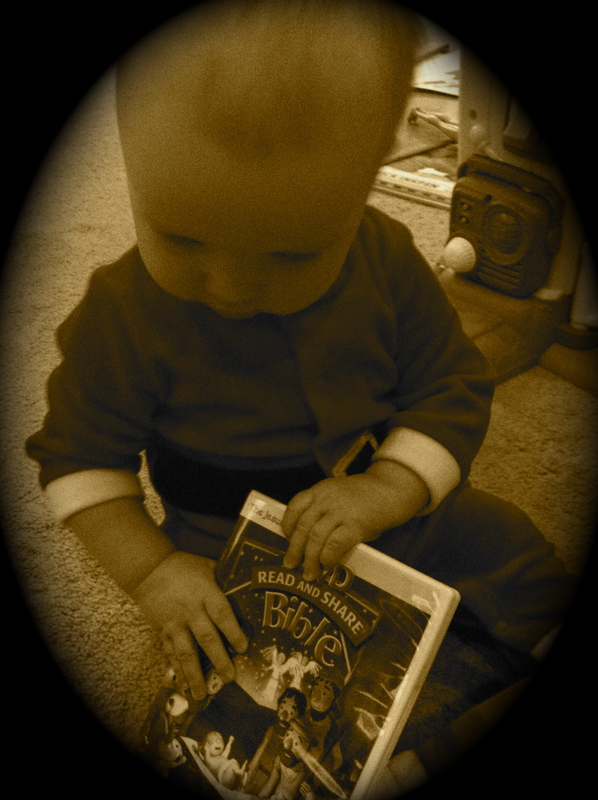 He has always loved books, but now instead of just eating them during book time, he sits in my lap and listens to Sarah Ann and I read. It will always be one of my most favorite times of the day!